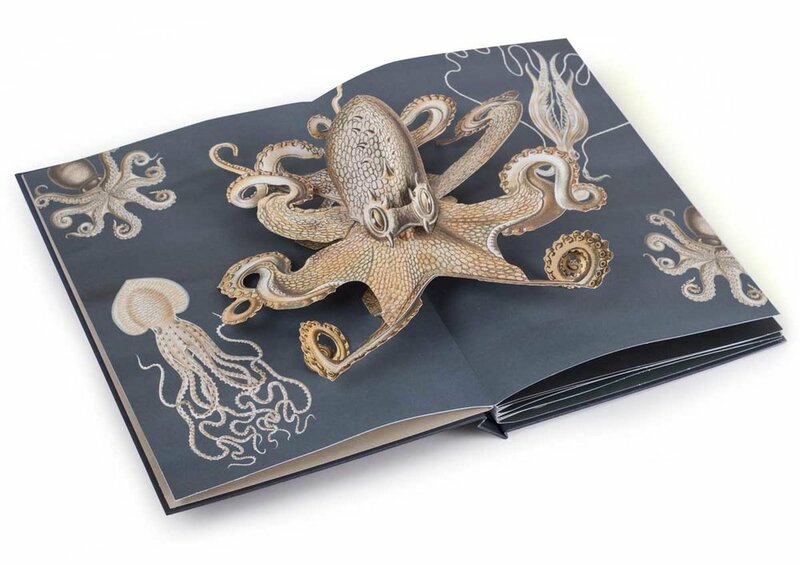 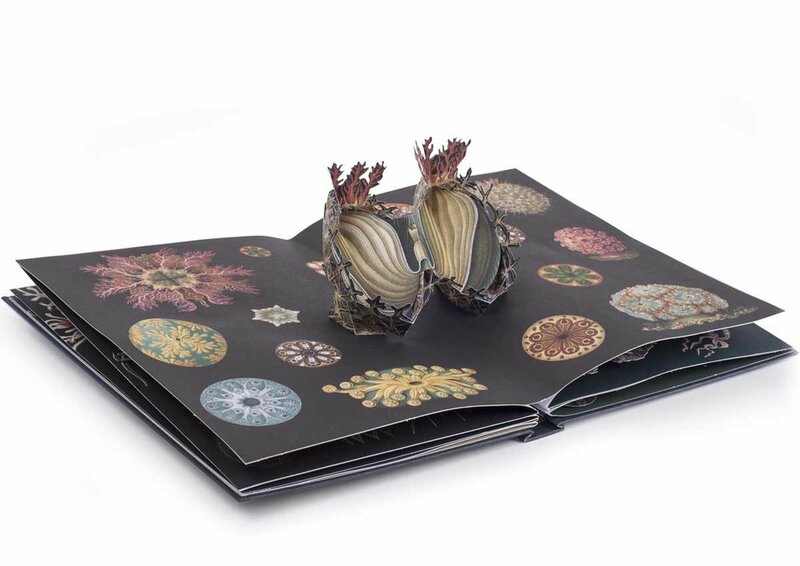 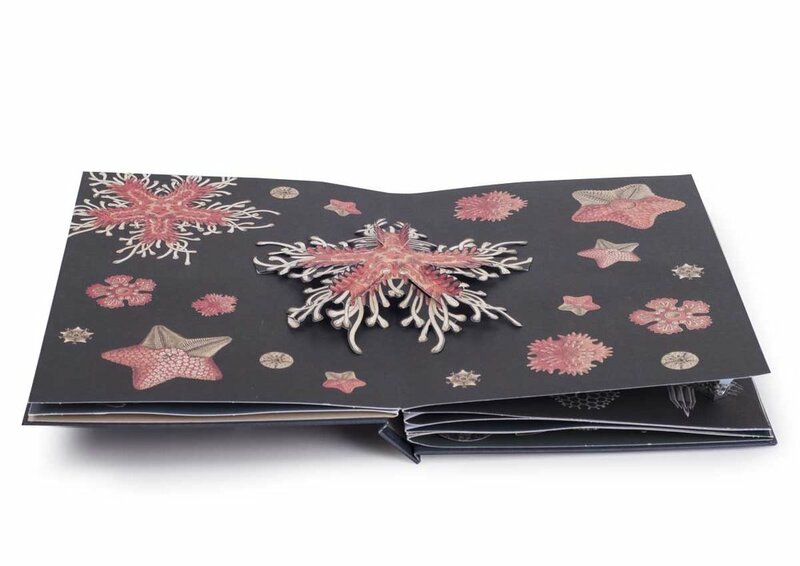 The magnificent prints of Ernst Haeckel, who captured the amazing forms of the natural world, spring to life in this exciting pop-up book by Maike Biederstädt. 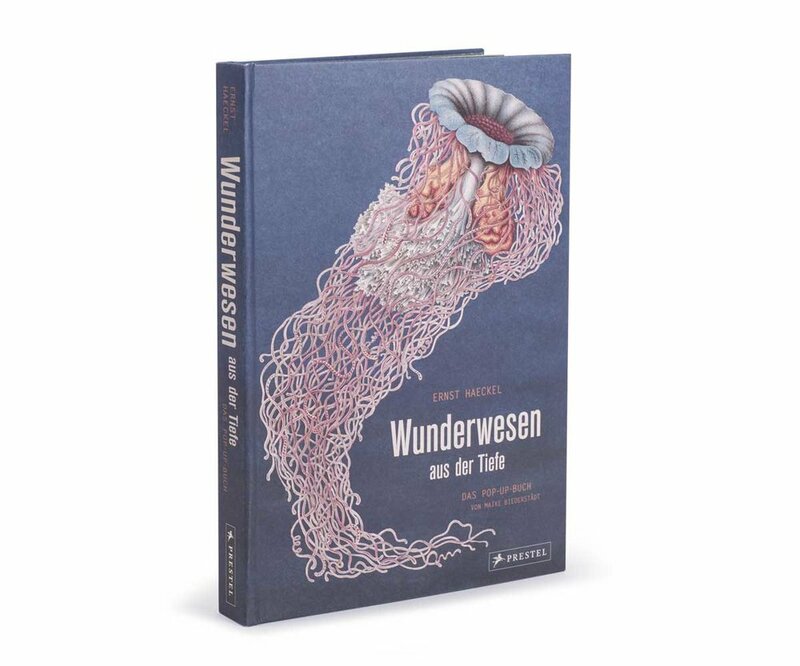 Finalist for The Meggendorfer Prize 2018 for the most outstanding pop-up or movable book in 2016-2017. 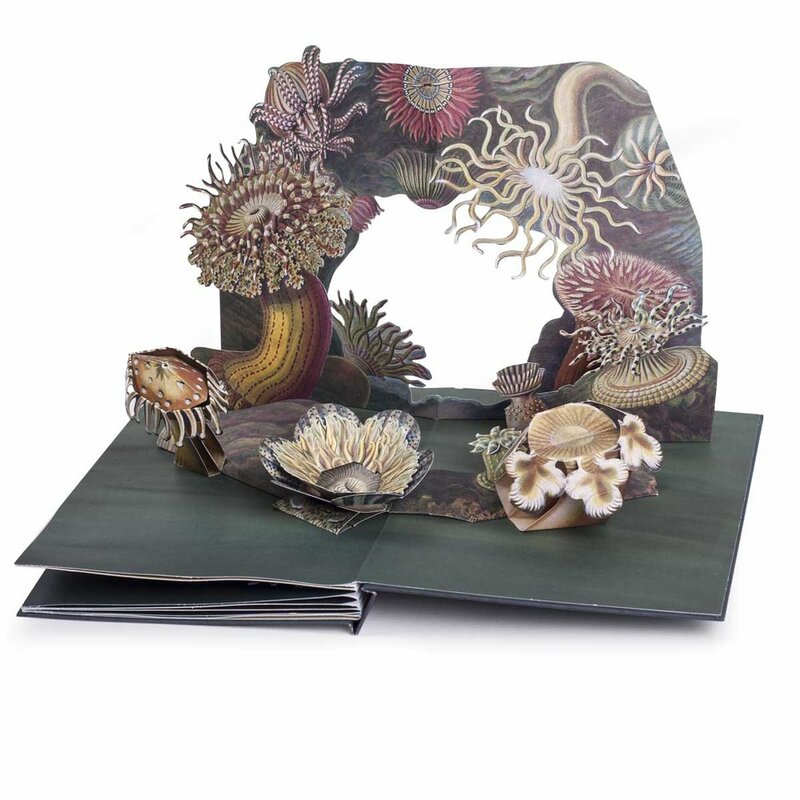 See a complete video of the book or read the review on bestpopupbooks.com.